Eight standout openings from the past six months. It’s July. How did that happen? It feels sudden, but when you think back over the number of openings since January … actually, no – it’s genuinely mind-blowing that we’re so deep into 2017. 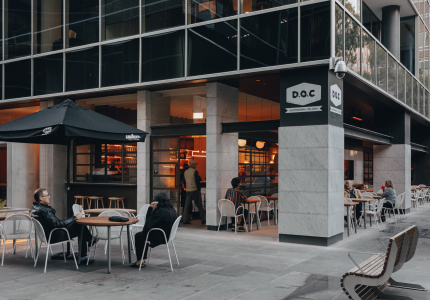 Given we’ve just passed the halfway mark, it’s a good time to reflect on the bounty of new cafes that have opened in Melbourne over the past six months, and which ones really stood out. 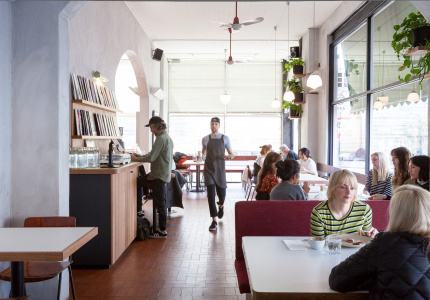 In no particular order, here are our favourite new cafes of the year so far. 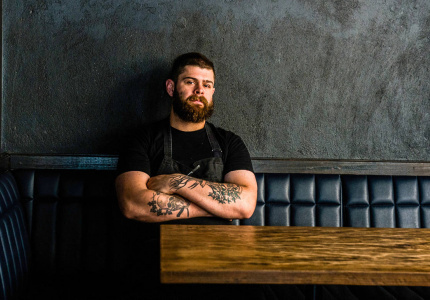 Paul Wilson’s sprawling new venue at Prahran Market feels like it’s had a never-ending opening. 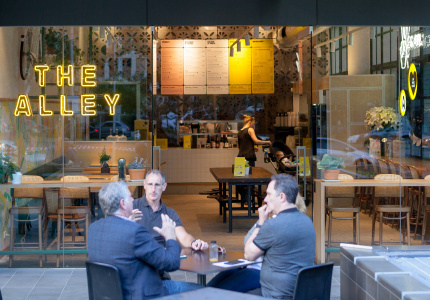 First came the takeaway Tuck Shop in March, then the brasserie launched last month. 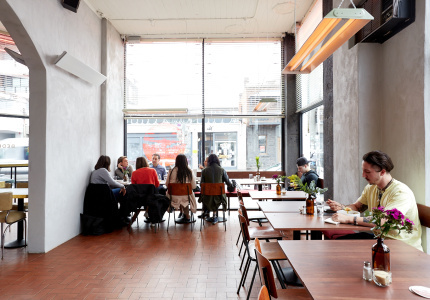 Sometime in the middle of all that, Wilson & Co cafe opened. It’s all very sleek and smart, but what’s most memorable here (apart from the fancy, technicolour bathrooms) is the food. 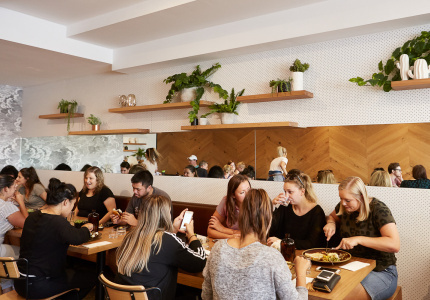 Wilson sources most of his fruit and veg from a small biodynamic farm on the Mornington Peninsula, and the menu is largely vegetarian. 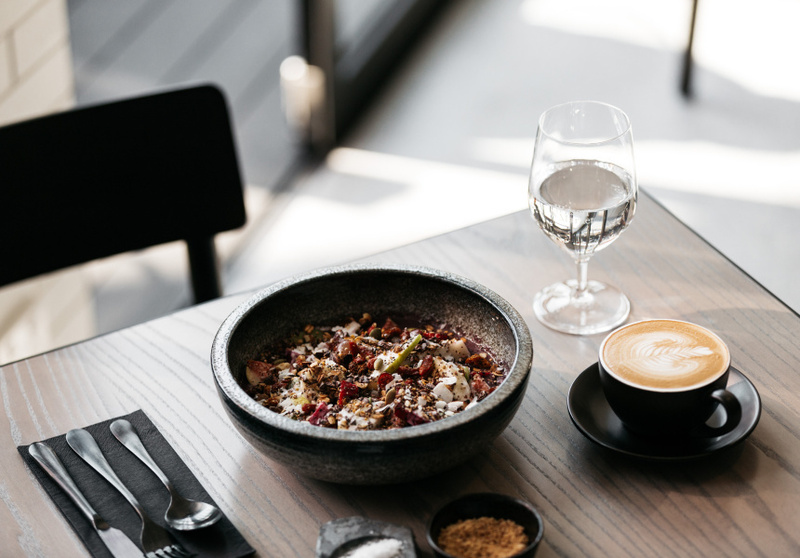 It has everything you want it to (eggs, pastries, pancakes, muesli), but it looks and tastes different to the carbon-copy brunch list you now find at almost every Melbourne cafe. We recommend ordering anything that comes with the house-made spicy tomatillo verde. And don’t miss the Scotch eggs, or house-cured trout. 190 High Street in Northcote was a Christian Science reading room. 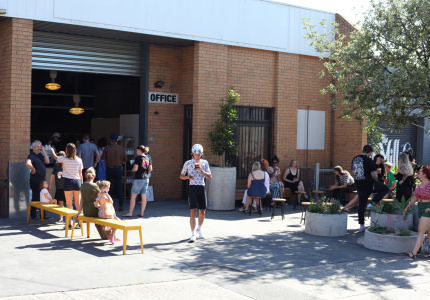 The cream brick building had the phrase “All Are Welcome” written in gold letters on the front door, so Boris Portnoy knew what he’d call the place when he turned it into a bakery and coffee shop. Portnoy was previously head pastry chef at a three-Michelin-star restaurant in California before he traded fine dining for baking. All Are Welcome is a collaboration with Everyday Coffee, so you can sip its espresso or batch brew while you decide between a croissant, cinnamon brioche or chocolate babka bun. There’s also an assortment of non-sweet options, such as savoury tartines and tarts, plus house-made jams, chutneys and pickles. Don’t leave without buying one of Portnoy’s dense loaves (or another pastry, for the road). 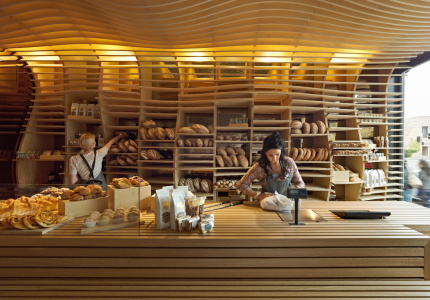 You know bread is a focus here even before you enter the bright, elegant and now very busy space on Toorak Road. Loaves are tied to steel mesh frames in the window, and inside you’ll find roughly 15 French- and Italian-style loaves. 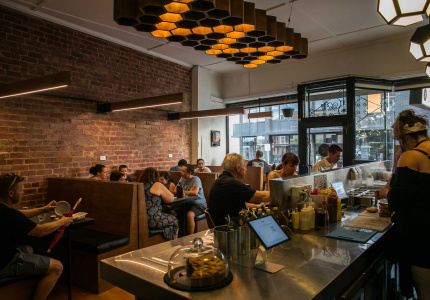 Owner Ned Radojcic recruited American master baker Benjamin Tugwell and Australian baker Timothy Naughton (who previously worked with Baker D. Chirico and Noisette) to run the show. But there’s more to Ned’s than bread. 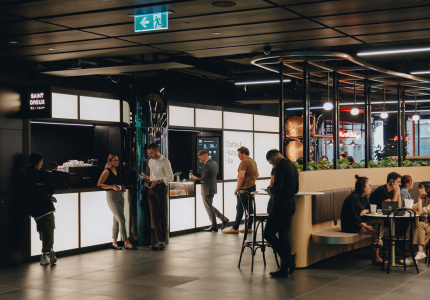 The colourful display of pastries, tarts, buns and savoury items makes that clear, as does a menu featuring everything from mascarpone pancakes to crispy Neapolitan-style pizza. 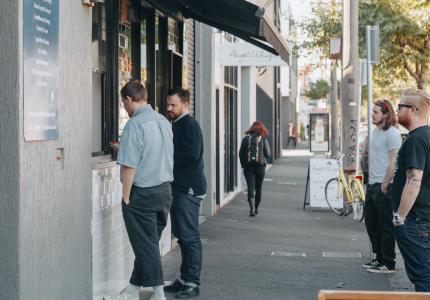 The outside of this cafe is as charming as it gets, with dappled sunlight falling on its red-brick facade and a big sign that simply reads: “Frankie’s”. 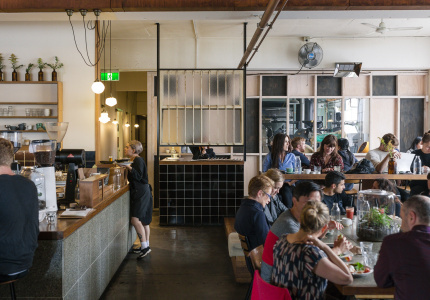 Inside, green-velour padded booths and wood tables face a large open kitchen. Owner Michelle Curtis is a chef and award-winning food writer. She’s focused on seasonal produce and putting her own spin on breakfast and lunch classics. The fragrant and colourful smashed-roasted sweet potato and turmeric is a standout. Light, golden sweetcorn fritters come served with a poached egg and guacamole. For lunch, it’s house-made pies, tart of the day, or a roast-chicken sandwich on grain bread. 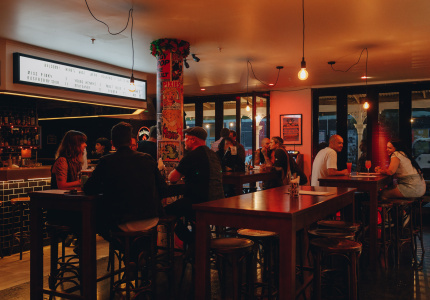 Bayside locals might remember the building’s former tenant, Frank’s Milk Bar, and its colourful owner, Frank Economakos, for which Curtis’s new spot is named. We’re yet to find a more jaw-dropping interior this year than this one. It reminds us of an Apple store, or something out of Michael Jackson’s Scream film-clip. 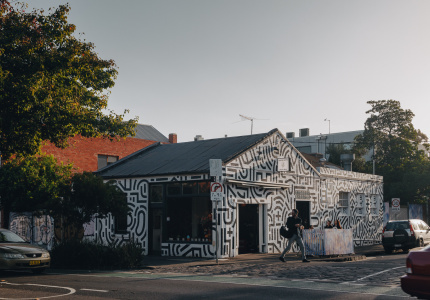 Co-owner Joshua Crasti renovated the former garage with his father, which clearly involved an incalculable amount of white paint. Every detail is clean and bright, from the island espresso bench to the almost reflective white coffee packaging. Transparency, clarity and simplicity are the three guiding principles here, and the roast is on the lighter side. 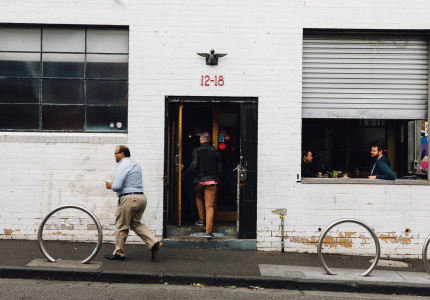 Byoung-Woo Kang, co-owner and director of coffee (and Australia’s 2014 cup tasting champion) worked as a barista at St ALi before he began roasting at Market Lane. Besides coffee, there’s matcha tea, one seasonal fresh juice and pastries from Cobb Lane. That’s it. Simple. 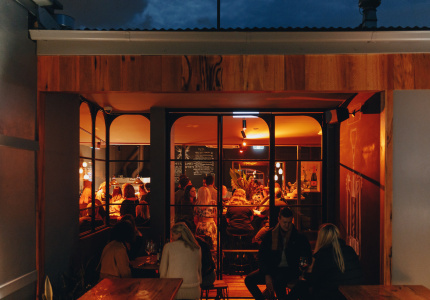 Terror Twilight is the reborn Bedford Street, which owners Hootan Heydari and Jono Hill closed down less than one year after opening. 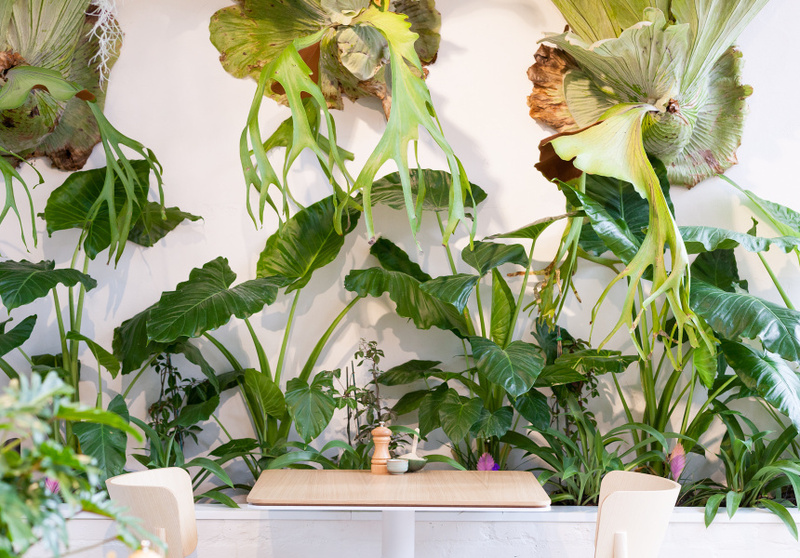 Twilight is brighter and airier than its predecessor, with a pastel-pink espresso machine instead of beer taps, and indoor plants instead of neon lights. The food is wholesome and tasty, like the roast-chicken sandwich with lemon mayo; frisee; and pistachio, bacon and prune stuffing. There are also healthy-sounding broths, plus smoothies and pressed juices. 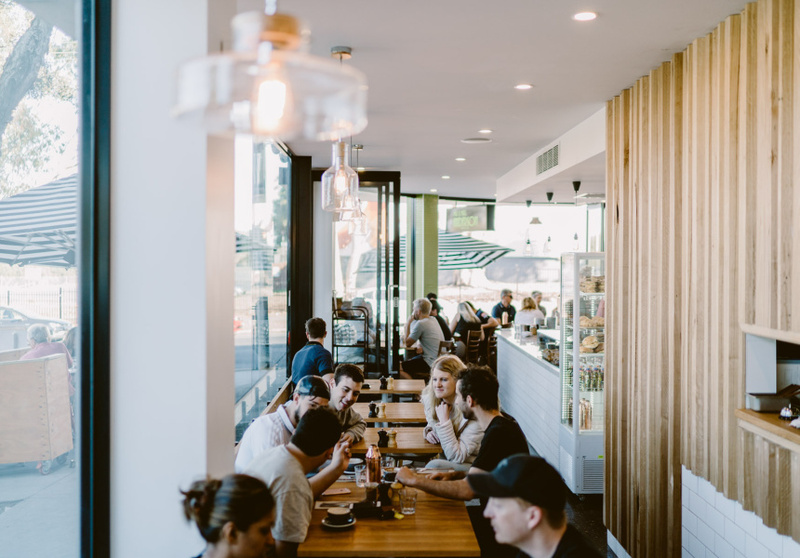 Pastries come from Cobb Lane Bakery; minced meat comes from nearby Meatsmith; coffee comes from Wide Open Road – you know you’re in good hands. After three years and more than 10 overrun pop-ups, Osaka-born Yutaka “Matsu” Matsuda finally opened a permanent okonomiyaki joint. Papirica is simple but charming, with just a few tables among indoor plants, second-hand furniture and knick-knacks from Matsuda’s life. The short menu includes Osaka-style okonomiyaki, with add-ons of mochi rice cakes, cheese and kimchi. Okonomiyaki reminds Matsuda of his mum, who used to make the dish back home in Japan during his childhood. That’s how the place feels – kind of like his home. Each pancake comes out resembling a neat-ish Jackson Pollack painting, with house-made sauce and mayonnaise drizzled on top. 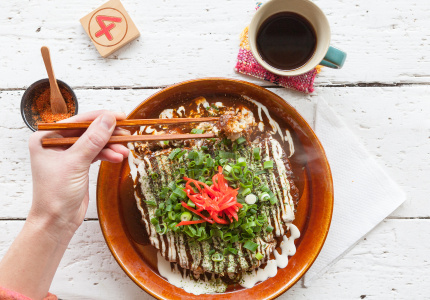 Okonomiyaki pros will devour the pancake without turning that art on top into sludge – newbies will destroy the pretty presentation in an instant. Either way it tastes good. Good things come in small, beautifully designed packages. 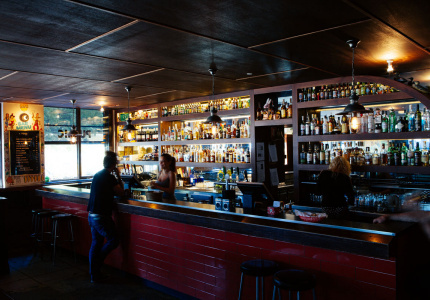 Gold Drops is compact and elegant – sit at the bar and pretend you’re in Europe. These guys only serve natural coffee (after being picked and sorted, natural coffee is left to dry in the sun with the cherry still on the bean). It’s the simplest and most traditional method of processing coffee – in some ways it’s similar to the way natural wine is made – and the end result is rich, sweet and intensely fruity. 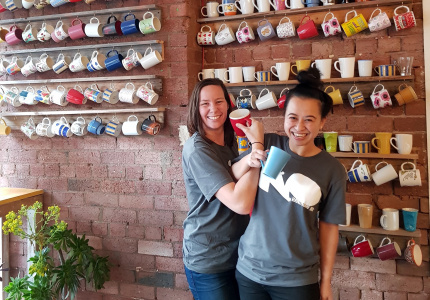 The flavour might be polarising for some coffee drinkers according to owner Ari Abad – try it and see if you like it. 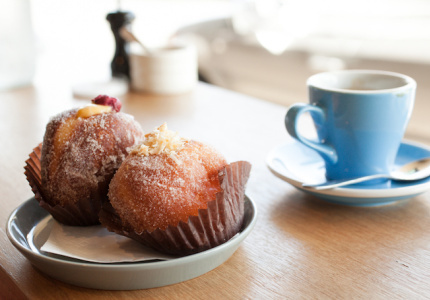 Come for a coffee trial, stay for the Argentinian pastries and outside bench (perfect for people watching). 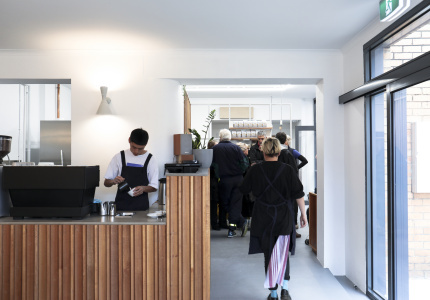 The Alley (a vegan cafe that doesn’t skimp on flavour or decadence); Mr & Mrs Andersen (a farm-to-plate cafe with Michelin roots); Au79 (a cafe, bakery and roastery that feels like an indoor botanical garden); and Frank’s (a warm, smart space on a quiet strip in Cheltenham) were four of our most-read cafe-opening stories of the year. Check out our favourite restaurant and bar openings of the year so far.